Again, its not just for firearms. If you’re looking into the whole “parlor shooting” thing like I am, you’ll want good sights to work with. 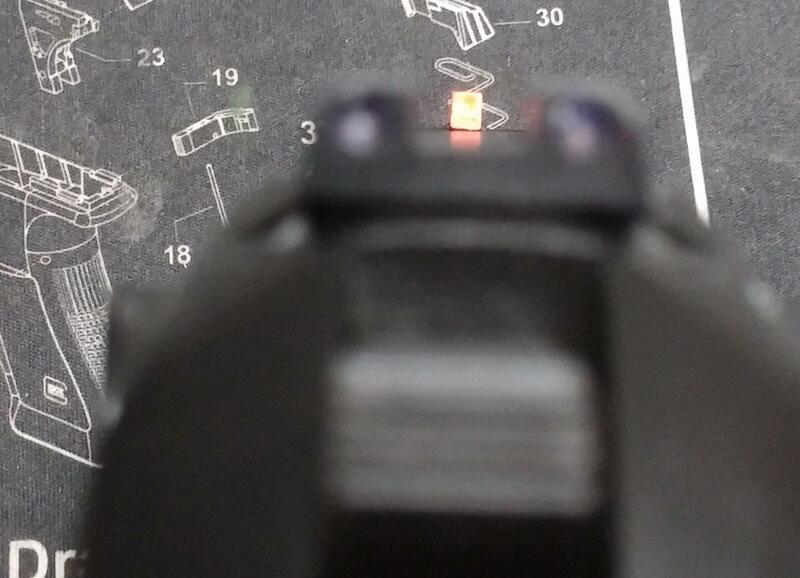 As an aside, numerous folks have wondered if a lot of the reason point shooting was so well-received was because of the really bad sights found on older semiautomatic pistols. They were “low profile” and the front sight frequently occludes the entire rear notch when you try to aim. I’m not saying that some kind of “point shooting” technique isn’t of potential value at extremely close ranges, just that, with the sights on those pistols, you frequently wouldn’t have had another option! 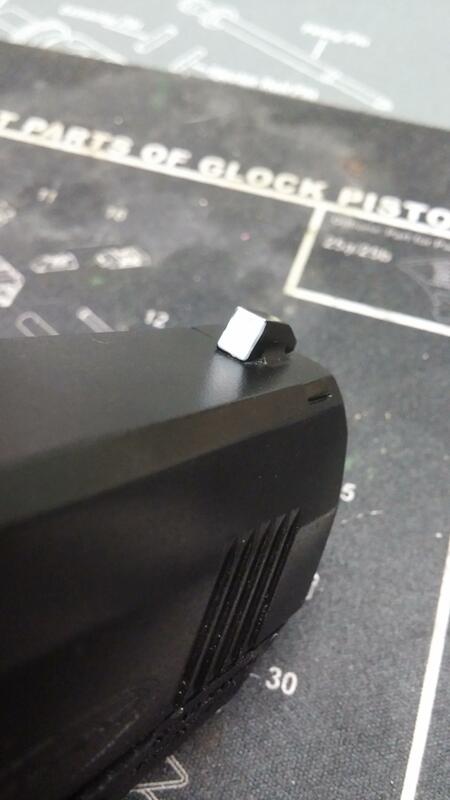 The factory sights that come on most pistols (especially little guns) are pretty difficult to see. They’re usually small and black and acquiring the front sight during the presentation can be difficult. You also might be vetting a new pistol purchase, and before dropping $70-$150 on a set of new sights you can cheaply get easier to see sights. 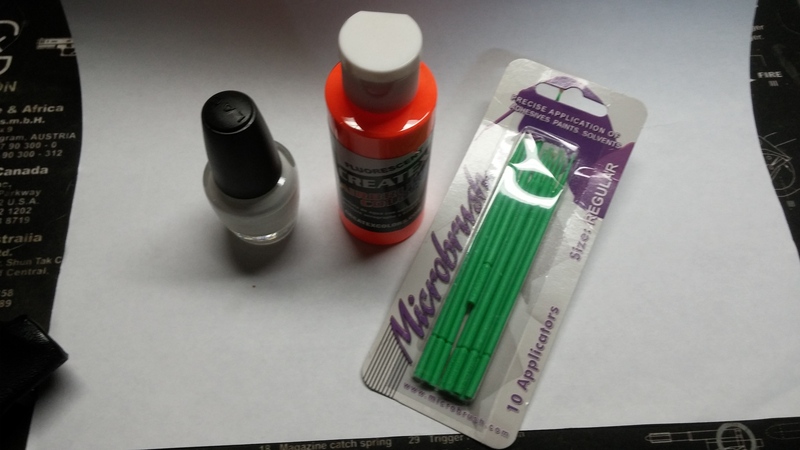 $6 gets you fluorescent hobby paint and tiny brushes at a hobby store. I also purchased some white Nail polish at the dollar store. This can also be accomplished with florescent tape with clear coat nail polish on the edges to keep it from peeling. $6 for enough supplies to paint all of your guns, all your friend’s guns, and your future grandchildren’s guns.. Put down a few layers of white nail polish. 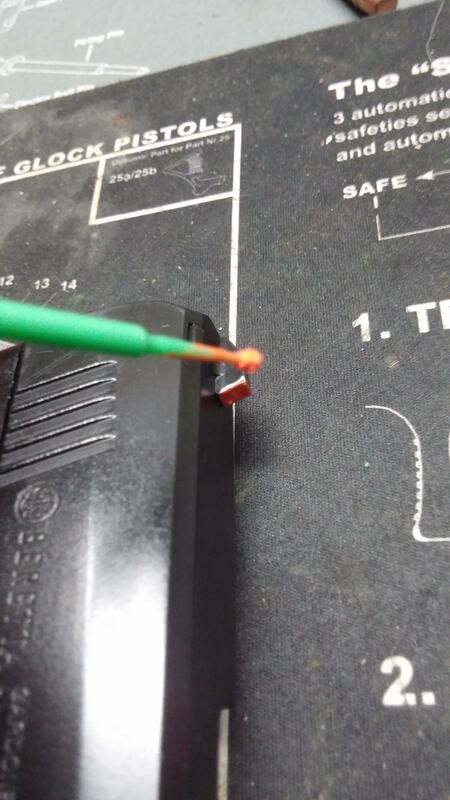 Dab some hobby paint on the front sight. It took two or three coats.